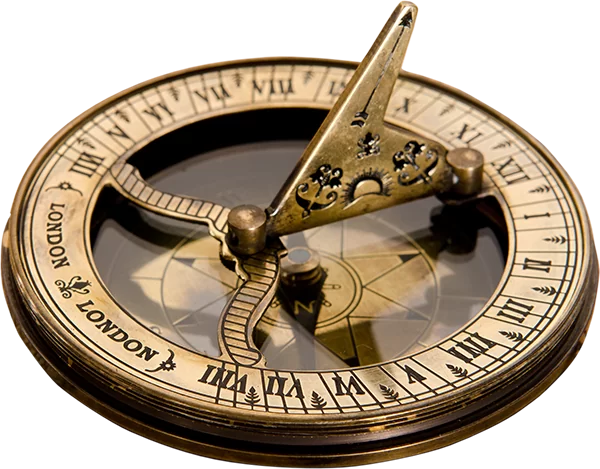 SEO is a demanding profession, and without proper tools, the job can be even more time consuming. 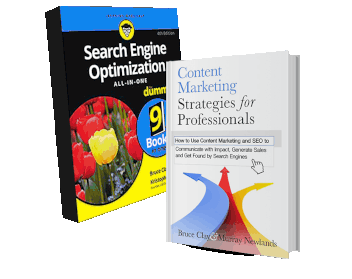 The SEOToolSet is a subscription-based collection of tools conceived and designed by veteran SEO Bruce Clay. Each tool performs a vital task which automates and simplifies the never-ending work of an SEO. 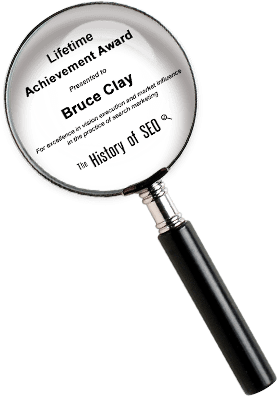 There are more than 15 tools included in Bruce Clay, Inc.’s SEOToolSet, and in a series here on the blog, we’ve been describing and explaining, in step-by-step detail, each organic search engine optimization tool in our comprehensive set of SEO tools. 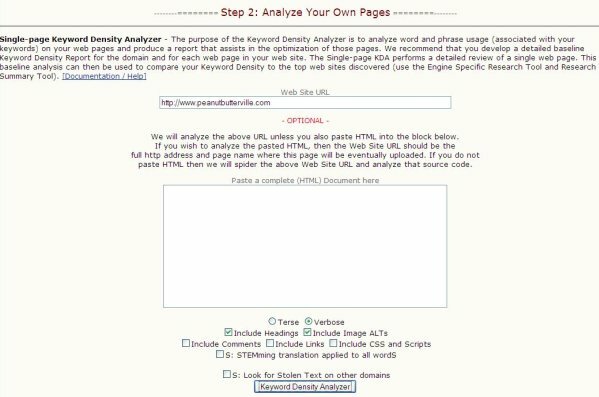 Today’s tool of the day: the Single-Page Keyword Density Analyzer. 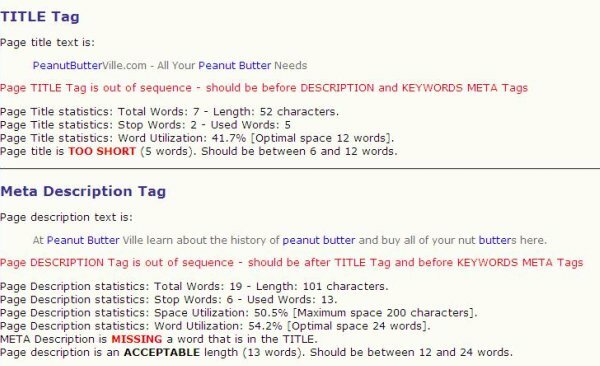 Keyword density is usually expressed as a percentage — the number of times a keyword is used on a page divided by the total number of words on the page. There has been some debate over the usefulness of keyword density as a search engine optimization consideration. At one time, the increased frequency of a keyword throughout the content of a page could boost a page’s perceived relevance for search engine rankings. However low-quality, keyword-stuffed content quickly brought an end to that practice. Indeed, the density of a keyword on a page is not a metric that means much by itself. So, don’t be fooled by the name of the tool, which is something of a relic from the days when keyword density was a concern unto itself. 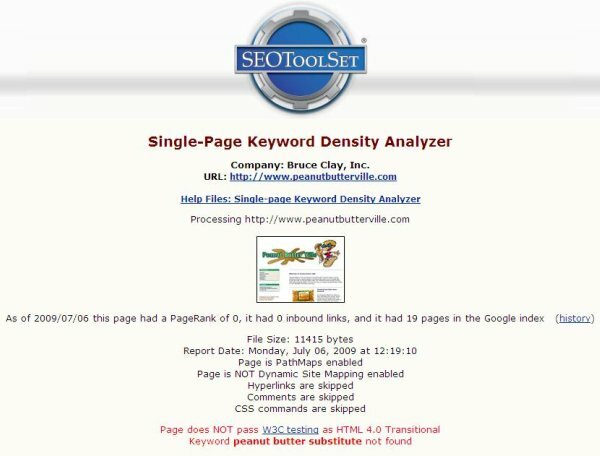 The usefulness of the Single-Page Keyword Density Analyzer goes beyond basic frequency, extracting useful data and presenting it in an easy-to-read format. The readability/reading level of page content. The inclusion of keywords within specific on-page elements. The inclusion of keywords within outgoing links. A clear visualization of keyword distribution. When this data is presented together in a simple, understandable format, necessary focus areas become obvious and easy to address. To obtain a report from the SKDA Tool, sign into the SEOToolSet and go to the SEOToolSet Menu. Scroll down to “Step 2: Analyze Your Own Pages” or select “Analyze” from the navigation links at the top of the page. At the top of the report you’ll find the URL of the page that has been analyzed, that page’s PageRank, the number of inbound links to the page, and the number of pages of the domain that are indexed by Google. As an aside, there is a second report within the SKDA report. By clicking on the link “history” in the parentheses to the right of this data, you’ll retrieve historical data going as far back as when the domain was first entered into the SEOToolSet. This history report includes the page’s PageRank, the number of inbound links according to Google, Yahoo and Bing (listed as MSN), and the number of pages indexed by Google, Yahoo and Bing (again, listed as MSN) for that domain. Back on the SKDA, you can also see what options were selected when the report was created. As you can see in the screen capture above, hyperlinks, comments and CSS were not included in the analysis. This portion of the report also mentions whether or not the page passes W3C standards. Next in the report is a brief list of the keywords found on the page, which can be compared to the list of keywords assigned to the page as well as the most prominent keywords used on the page, both assigned and otherwise. This presentation is exceptionally useful when lining up your priorities and your realities. 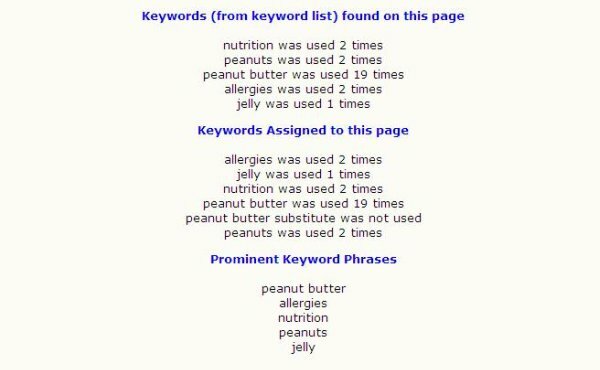 If you intend for a page to focus on the keyword “peanut”, but the word “peanut” is only used twice on that page, you’ll want to consider including “peanut” a few more times throughout the content in order to increase the page’s search engine relevance for that keyword. Also handy is the portion of the report that breaks out keyword usage within each on-page element. The Title tag, Meta Description tag, Meta Keywords tag, Heading information and link information are all separated into their own sections. The next portion of the SKDA report goes into detail for every keyword on the page. Here is a small sample for one-word phrases. Two-word, three-word, four-word and five-word keyword phrases are also reported in this way. Here you’ll notice some additional color on the page. In the SEOToolSet, users can define keywords that are important to an SEO project and keywords can be assigned to specific pages on the site. This is done in a separate area of the SEOToolSet, however these important keywords are often analyzed through various reports. In the information reported in the screen shot above, red indicates that the keyword phrase is targeted on this specific page. Blue indicates a keyword phrase is targeted site-wide but is not a target for this particular page. When referring to a page’s keyword distribution, you should be worried less about the actual density and more about appropriate use. If there were an abundance of red ticks across the bar, that might be a red flag for keyword stuffing or overuse. If there were many red marks on the left side of the bar and no red marks on the right side, one might test a more even use of the keyword to improve the content’s perceived relevance. If the red ticks are thin throughout the bar, a few more instances of the keyword might be appropriate. An SEO could come to the same findings by sifting through source code, but the linear distribution graph sends the message in seconds flat. At the end of the report you’ll find Spider Results, which is a quick rundown of statistics a search engine bot will extract from the page. Of special note is the links and anchor text part of this section. Here you’ll quickly see if a link is fully qualified or it if is only relative to the site. You can also see all the link anchor text on a page, as well as links that are missing a clickable image or anchor text. Links that are not fully qualified can be easily broken and an un-clickable link could be seen as spam, so steer clear of these pitfalls with the help of this tool. And there you have the Single-Page Keyword Density Analyzer. Extract and gather meaningful info about a page’s readability, overall keyword use and the keywords used in important on-page elements, all from one quick tool that’s more than meets the eye. thanks for the tip, always enjoy your post. You’re one of a very few that actually give out good actionable advise that anyone can follow. Hi Alex, thanks for your comment. I agree that keyword density is not by itself a helpful SEO metric as there is no magic density. But the Single-Page KDA report goes far beyond keyword density and provides broad support for search engine optimization. The tool will tell you the reading level of your content, which is important when tailoring your site to your customer. It also examines each section of a page (Title tag, Headings, etc.) to identify where keywords are used so an SEO can see, at a glance, if anything is missing or doesn’t meet expectations. The keyword density data is just a sliver of what the SKDA tool offers. 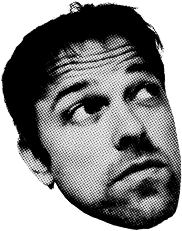 Why in 2009 there are still people who cares about keyword density? It’s a completely useless metric as explained by Dr. E. Gracia in 2005 (http://www.miislita.com/fractals/keyword-density-optimization.html). Please, stop spreading misinformation about SEO.